From the National Day of Action at the Army Corps of Engineers headquarters in St. Paul. The Camp of the Sacred Stones and Red Warrior Camp are calling on allies to put pressure on the financial institutions backing the Dakota Access pipeline to divest, according to a Facebook post from the two groups, and reprinted below. Banks have a role to play. It is time they decide which side they are on — will they continue to support the fossil fuel industry and police human rights violations — or will they protect the health of our communities, our water, and our climate. Hundreds of veterans will arrive at Standing Rock Indian Reservation this weekend to join the monthslong protest of the Dakota Access Pipeline, bringing with them an influx of resources and attention. The movement, called “Veterans Stand for Standing Rock,” will last from Dec. 4 through Dec. 7. The veterans are going with the goal of “protecting the protesters,” said Anthony Diggs, a Marine Corps veteran who is acting as a spokesman for the group. As of Monday, the group had raised a half-million dollars to support the Water Protectors. In 2012, the Seventh Generation Fund released a video that foreshadowed the fight in Standing Rock. 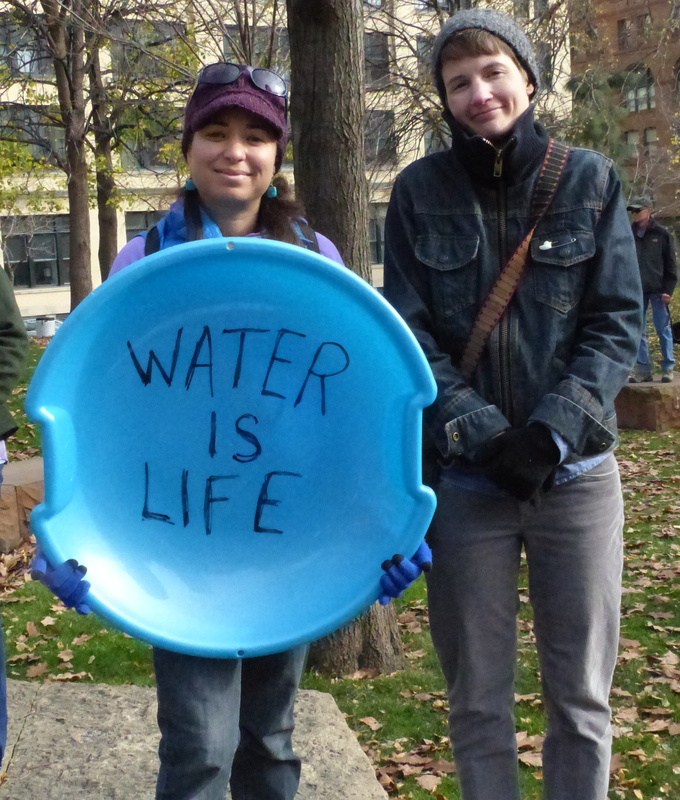 It is called Water is Life – Indigenous Perspectives on Water and talks about the Navajo nation’s struggle to protect its drinking water from uranium mining. The video runs a quick 9 minutes, and has echos to Standing Rock, contrasting the indigenous view of “water is life” — and sacred — with the western view of water as a commodity. It is a reminder that the fight at Standing Rock is not an isolated event, but a symptom of a larger problem. This is the history that Standing Rock is up against.